Tuesday, December 13th, was a day of victory for the Schwab family, and their advocate Jennifer Winn is calling it "a miracle." When Raymond and Amelia Schwab walked into the Riley County Courthouse in Kansas Tuesday morning, it looked like they were going to lose their children. Child Protective Services' social workers had made it clear that they were pushing for termination of parental rights during the 3 day permanency hearing. Instead, the judge ruled that there will be no termination, but instead, they are to be reunified with their children. Raymond Schwab told Health Impact News: "They really were attempting to terminate, and they failed." It has been 18 long months since 5 of their 6 children were first seized by Kansas Department for Children and Families (DCF) over false allegations. (Their oldest was already of age.) Raymond, a Navy Gulf War veteran, went on a hunger strike last spring in the hopes of getting his children home. Like many military veterans, Raymond suffered from Post Traumatic Stress Disorder (PTSD), and when pharmaceutical products were used to treat his symptoms, he developed a heroin addiction. 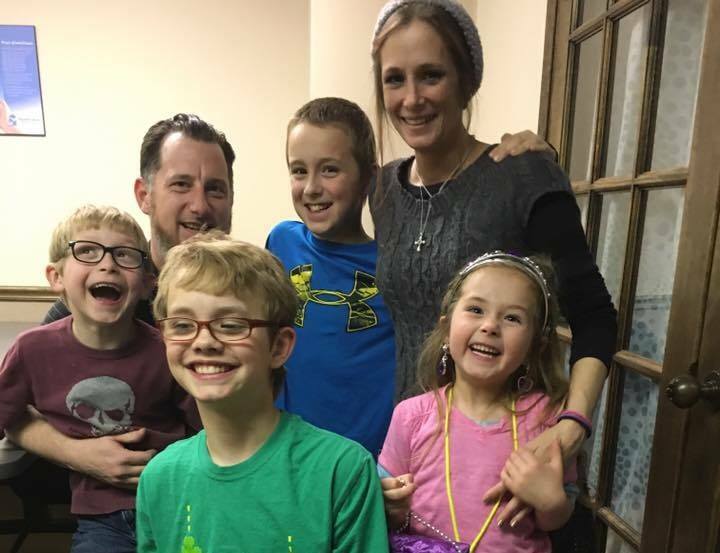 He was prescribed medical marijuana to break his heroin addiction, and the family was living in Colorado homeschooling their children where medical marijuana is legal. The family was happy, and Raymond had successfully returned to the work force. But while visiting Kansas where marijuana is not legal, false allegations led to CPS taking custody of their children. The Schwab family case gained national media attention over the civil rights of military veterans and medical marijuana users. There are so many of these stories happening to families it makes me sick - how can they do this to decent people. This is such an example of power-obsessed humans getting completely out of control. I think it makes me feel as tho there are certain states I would never want to live in Kansas being one !!!!! Total ignorance & wickedness beyond belief - and I bet it's all the states with large numbers of hysterical religious people who are more likely to do these things - nothing like religion as an excuse to do stuff to other people !!!! !